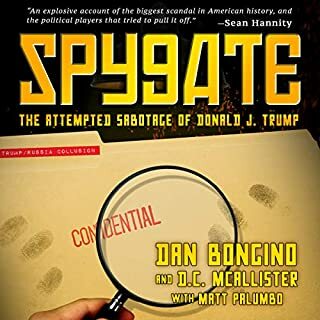 The comprehensive story of how the Obama administration, Hillary Clinton campaign, and foreign entities tried to sabotage the Trump campaign in the 2016 presidential election. 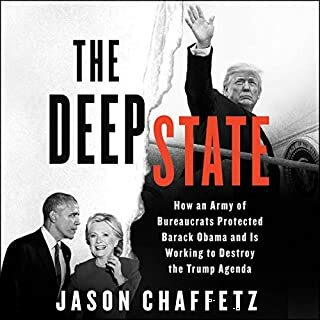 Former congressman and current Fox News contributor Jason Chaffetz explains how we ended up with a politicized federal bureaucracy that actively works to promote the Democratic Party's agenda and undermine Donald Trump. 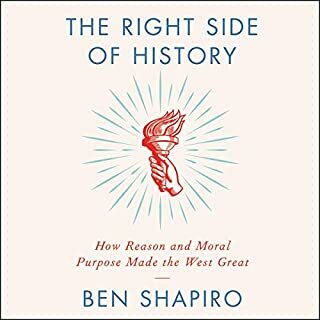 America has a God-shaped hole in its heart, argues New York Times best-selling author Ben Shapiro, and we shouldn't fill it with politics and hate. No one understands the "Make America Great Again" effort with more insight and more experience than former Speaker of the House Newt Gingrich. 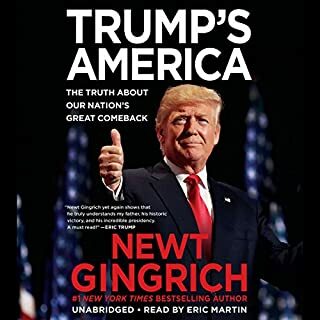 In Trump's America: The Truth About Our Nation's Great Comeback, Gingrich describes our country's tremendous turnaround under President Donald Trump's leadership - and confronts the desperate efforts by the elites in academia, the media, and the Washington establishment to undermine and distort his achievements. 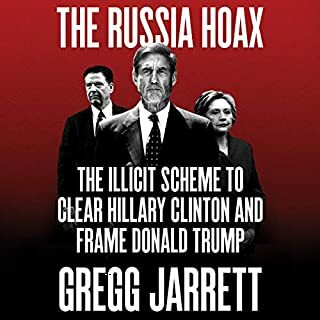 Fox News legal analyst Gregg Jarrett reveals the real story behind Hillary Clinton’s deep state collaborators in government and exposes their nefarious actions during and after the 2016 election. 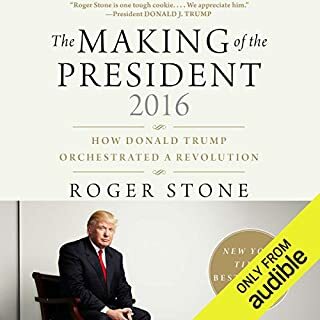 This audiobook reveals how persons within the FBI and Barack Obama’s Justice Department worked improperly to help elect Hillary Clinton and defeat Donald Trump in the 2016 presidential election. When this suspected effort failed, those same people appear to have pursued a contrived investigation of President Trump in an attempt to undo the election results and remove him as president. 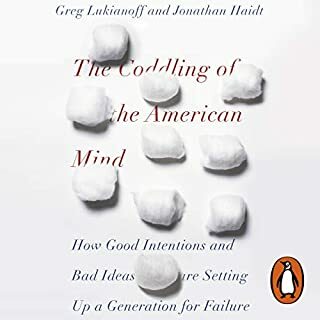 Penguin presents the audiobook edition of The Coddling of the America Mind by Jonathan Haidt and Greg Lukianoff, read by Jonathan Haidt. What doesn't kill you makes you weaker. Always trust your feelings. Life is a battle between good people and evil people. These three Great Untruths contradict basic psychological principles about well-being as well as ancient wisdom from many cultures. And yet they have become increasingly woven into education, culminating in a stifling culture of 'safetyism' that began on American college campuses. 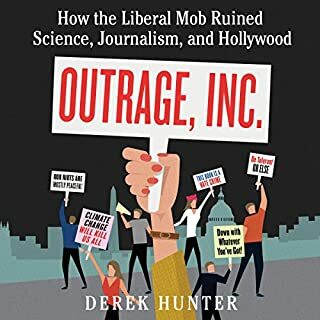 From Derek Hunter - one of the most entertaining political writers today - comes an insightful, alarming look at how progressives have took over academia, pop culture, and journalism in order to declare everything liberal great, and everything great, liberal. Progressives love to attack conservatives as anti-science, wallowing in fake news, and culturally backwards. But who are the real denialists here? There are three institutions in American life run by gatekeepers that have stopped letting in anyone who questions their liberal script: academia, journalism, and pop culture. 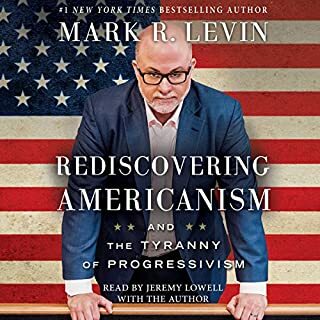 In Rediscovering Americanism, Mark R. Levin revisits the founders' warnings about the perils of overreach by the federal government and concludes that the men who created our country would be outraged and disappointed to see where we've ended up. Levin returns to the impassioned question he's explored in each of his best-selling books: How do we save our exceptional country? Because our values are in such a precarious state, he argues that a restoration to the essential truths on which our country was founded has never been more urgent. In the early hours of November 9, 2016, one of the most contentious, polarizing, and vicious presidential races came to an abrupt and unexpected end when heavily favored presidential hopeful Hillary Clinton called Donald J. Trump to concede, shocking a nation that had, only hours before, given little credence to his chances. Donald Trump pulled the greatest upset in American political history despite a torrent of invective and dismissal of the mainstream media. Here is the first definitive explanation about how the "silent majority" shifted the election to Donald Trump. From the author of 12 Rules for Life: An Antidote to Chaos comes a provocative hypothesis that explores the connection between what modern neuropsychology tells us about the brain and what rituals, myths, and religious stories have long narrated. 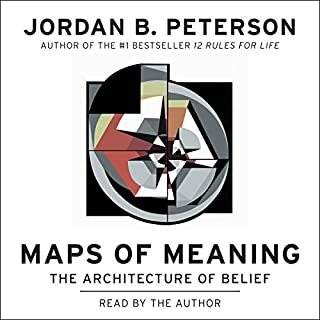 A cutting-edge work that brings together neuropsychology, cognitive science, and Freudian and Jungian approaches to mythology and narrative, Maps of Meaning presents a rich theory that makes the wisdom and meaning of myth accessible to the critical modern mind. As host of her own show on Fox for many years, Judge Jeanine Pirro has seen firsthand how narratives take form, whether they are based in truth or not. 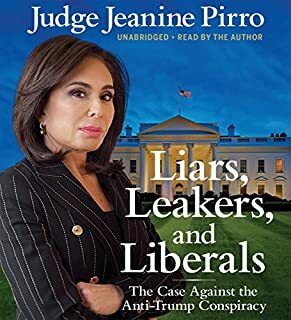 In her explosive new book, she talks about some of the most egregious lies she's seen and takes on the Liars, Leakers, and Liberals. 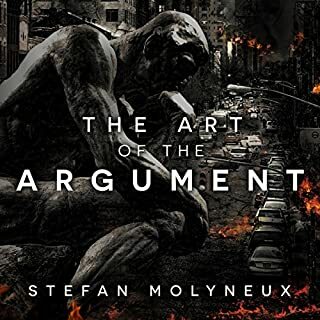 The Art of the Argument shocks the dying art of rational debate back to life, giving you the essential tools you need to fight the escalating sophistry, falsehoods, and vicious personal attacks that have displaced intelligent conversations throughout the world. At a time when we need reasonable and empirical discussions more desperately than ever, The Art of the Argument smashes through the brain-eating fogs of sophistry and mental manipulation, illuminating a path to benevolent power for all who wish to take it. Just excellent. Share this book! As Barack Obama's presidential failures keep adding up, remembering them all can be a challenge. 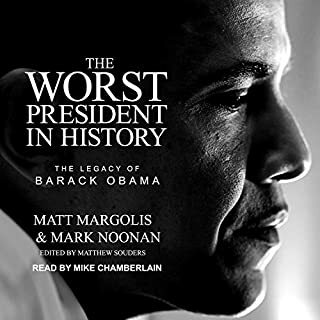 Matt Margolis and Mark Noonan have compiled everything you need to know about the presidency of Barack Obama (so far) into one book. Now you can easily find all the information that was ignored by the media and that Barack Obama would like you to forget. The one real difference between the American press and the Soviet state newspaper Pravda was that the Russian people knew they were being lied to. 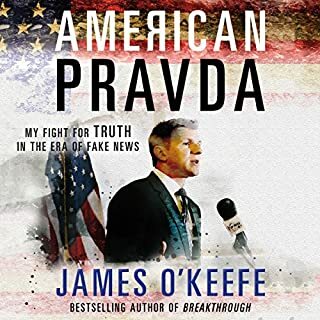 To expose the lies our media tell us today, controversial journalist James O'Keefe created Project Veritas, an independent news organization whose reporters go where traditional journalists dare not. Their investigative work - equal parts James Bond, Mike Wallace, and Saul Alinsky - has had a consistent and powerful impact on its targets. What is "the big lie" of the Democratic Party? That conservatives - and President Donald Trump in particular - are fascists. Nazis, even. In a typical comment, MSNBC host Rachel Maddow says the Trump era is reminiscent of "what it was like when Hitler first became chancellor." But in fact, this audacious lie is a complete inversion of the truth. Yes, there is a fascist threat in America - but that threat is from the Left and the Democratic Party. Known for his network of conservative websites that draws millions of readers everyday, Andrew Breitbart has one main goal: to make sure the "liberally biased" major news outlets in this country cover all aspects of a story fairly. Breitbart is convinced that too many national stories are slanted by the news media in an unfair way. 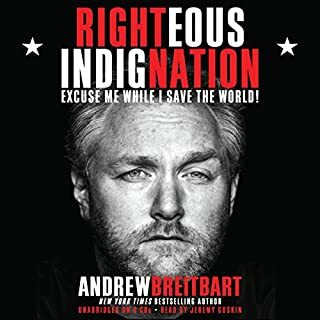 In Righteous Indignation, Breitbart talks about the key issues that Americans face, how he has aligned himself with the Tea Party, and how one needs to deal with the liberal news world head on. Ann Coulter is back, more fearless than ever. 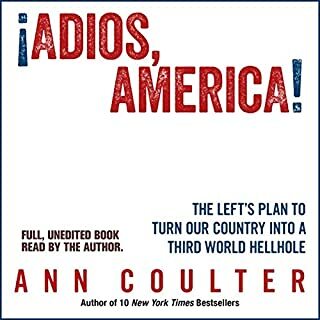 In Adios, America she touches the third rail in American politics, attacking the immigration issue head-on and flying in the face of La Raza, the Democrats, a media determined to cover up immigrants' crimes, churches that get paid by the government for their "charity," and greedy Republican businessmen and campaign consultants - all of whom are profiting handsomely from mass immigration that's tearing the country apart. The liberal media machine did everything they could to keep this book out of your hands. Now, finally, Dangerous, the most controversial book of the decade, is tearing down safe spaces everywhere. 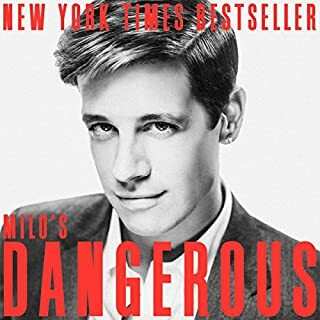 Amazing Audiobook from the Fabulous Milo. WAR. It will happen again. We must be ready. Sober words from Dr. Sebastian Gorka, a man who has made the unvarnished truth his specialty. And there’s one eternal truth that Americans are in danger of forgetting: the most important weapon in any geopolitical conflict is the will to win. In this powerful manifesto, Dr. Gorka explains the basic principles that have guided strategists since Sun Tzu penned The Art of War in the sixth century BC. To defeat your enemy, you must know him. But that’s the last thing liberal elites are interested in. Willful ignorance about our adversary - whether it’s Russia, China, or the global jihadi movement - has been crippling. Tearing off America’s politically correct blindfold, Dr. Gorka clarifies who our foes are and what makes them tick. What are the most serious threats to American security? How are they different from the threats of the past? What can we do to counter these threats? How can we achieve the “perfect victory” of vanquishing our enemies without mortal combat? All the money and weapons in the world cannot substitute for the will to fight for our precious country and what she represents. To remind us of what the will to win looks like, Dr. Gorka intersperses the stories of four American heroes - Stephen Decatur, Chesty Puller, “Red” McDaniel, and a warrior who never took up arms, Whittaker Chambers - men who believed in their country and put everything on the line for her. 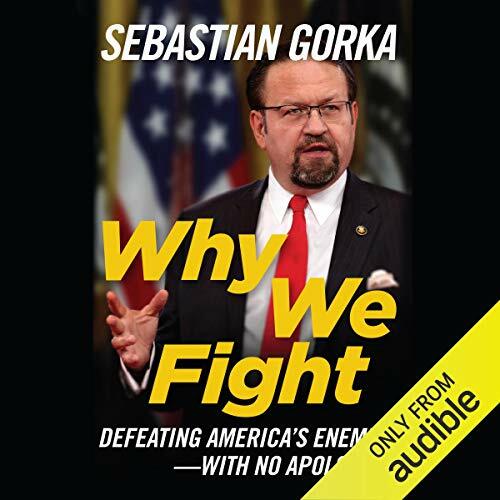 ©2018 Sebasatian Gorka (P)2018 Audible, Inc. Always like the way Sebastion speaks so authoritatively on his subject. Here he shares great research and facts in history which make this a credible and interesting read. His narration is also excellent. great subject and material presented in an easy to digest format from an extremely qualified source. This is one of the best book I have read explaining and dissecting the Jihadis movement and the historical origins of it. The book is so through about the issues that have created the current hostilities between the extremists muslims and the western culture. I wish it had gone a bit more in depth about 1979 Iranian revolution that was only caused by the incompetences of Carter Administration leading to the Soviets invasions of Afghanistan and rising of the mujaheddins in Afghanistan which the west supported their fight with the Soviets. By removing the Shah, the staunchest ally of Israel in the region at the time, the region became unstable. Nevertheless, I am probably going to re read this book again since there is so much information crammed into it that it’s hard to absorb it it all in one reading. I will also read the other book of Dr Gorka hoping that it is as informative as this one. Thanks Dr Gorka we need more immigrants like you who become proud Americans and not those who come here and want to recreate their home country and culture in America. Outstanding! Appendix 2 kept me awake at night! 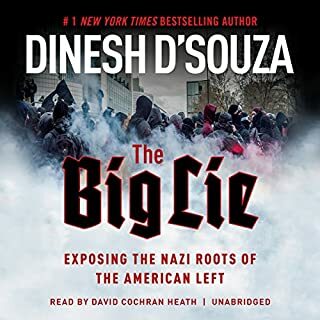 if you have concerns about which way to vote this November read this book. I have seen Dr. Gorka on television over the last couple of years and started realizing how much I agreed with his analysis. Politics is war by other means. Gorka illuminates these battlefields well. Insightful, interesting and deep discussions. Especially regarding Trump. Dr G is an immigrant that knows more about America than 99% of natural citizens. He also seems to care more about protecting this country than the same 99%. Thank you, Sir. Dr Gorka knows because he's lived it. I began listening today. I'm enjoying his family stories, all told in Sebastian's rich deep voice. His narration is exceptional. I am a big fan of Dr. Gorka but the book fell flat with me having too few parts where it seemed he was writing a book as opposed to phoning it in to check off a book as a way to make money. Too many stories felt more as filler than substance and I have listened to Dr. Gorka enough to know he is much better than this. If I wanted to listen to a podcast I would gladly have done so but listening to Dr. Gorka read both parts was not enjoyable. You would be much better served simply going to The Rubin report and listening/watching the interview as it is much better. I do appreciate Dr. Gorkas work and will consider future works by him I just hope he puts in more effort next time to give us some meat on the bones and educate us instead of writing a infomercial for others work. I am happy to support Dr. Gorka's work but Books may not be his strong suit. If you want to understand your enemy and what you are facing in this country, read or listen to this book. Dr. G explains how terrorist attacks are now the most common type of warfare and how we must prepare defensively for this reality.